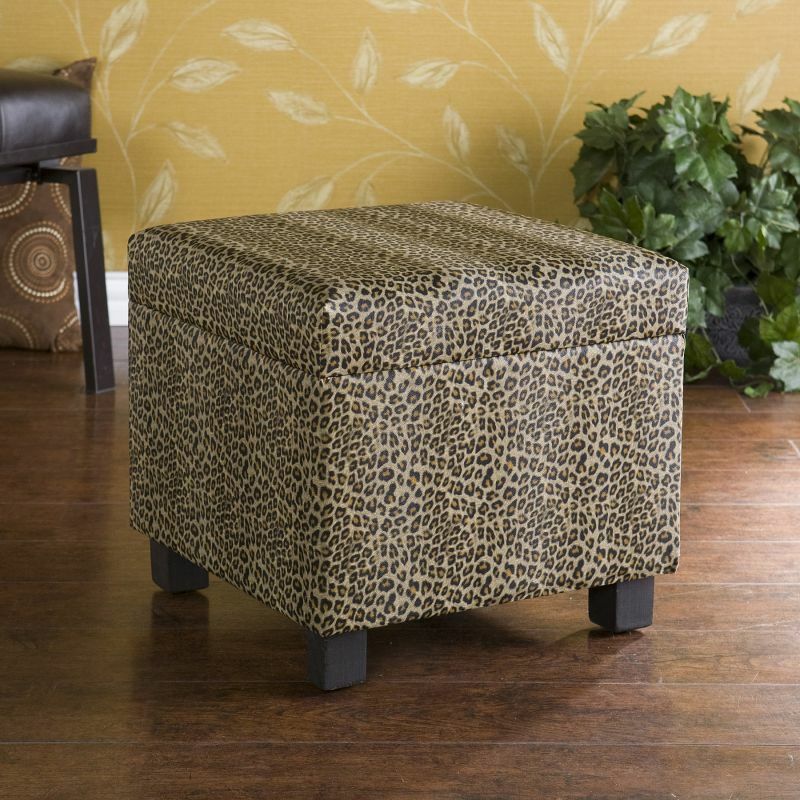 Add some flare to your home with this glamorous Giraffe print foot stool. Perfect everywhere from living room to kid’s room, the added storage and decorative accent are sure to make an impression. Complete with an emulated fur texture, this faux leather foot stool has a lid that lifts to reveal a spacious storage compartment for throw pillows, blankets or toys. The anti-slam hinge will add piece of mind with small children around. Add some character to your home today!